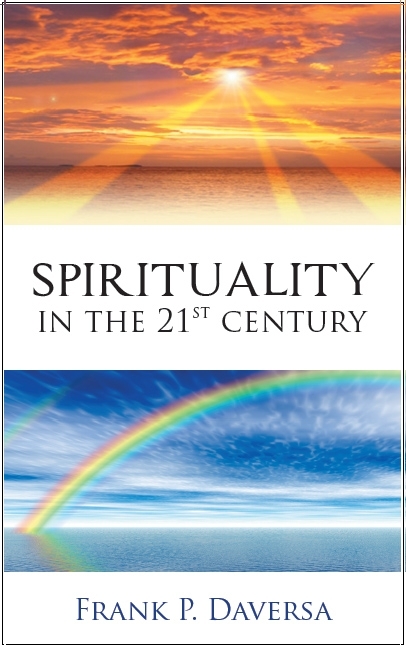 Frank P. Daversa takes an in-depth look at Spirituality in the 21st Century to help readers enhance their understanding of spirituality, life, and the world in order to achieve enlightenment. This spiritual read focuses mainly on growth—in particular, spiritual growth. As such, it covers many topics, from belief in God to spiritual paths and from truth to spiritual awareness. It offers a vision of faith, hope, compassion, understanding and clarity. It is a transformative work that enhances the reader’s ability to shape his/her own destiny. It takes you on an illuminating journey through life, providing key insights along the way. It’s a “must read” for most any spiritual path. This international bestselling book received 4 out of 4 stars from OnlineBookClub.org. One of the concepts Frank highlights is that a person begins life with a default destiny, a spiritual path that God has chosen for him as He sees fit. However, man possesses the gift of free will, which makes it possible to change his default path for better or worse during the course of his lifetime, in turn creating a new path for himself. He stresses that in order for man to rise above his default path, he must grow spiritually. Learn more about the natural environment in which they live. He also makes readers aware of the challenges that may weaken our spirits, but imparts his knowledge on how to conquer them. For example, he asserts there are three critical lessons Earth needs to overcome in this century: global warming, and two others you will find in Chapter 7 of his book on spirituality. Regarding relationships, romantic couples need to develop the first three principles of spiritual enlightenment before engaging in a love relationship, then pursue the last two in order to form a stronger union. For a detailed description of these and other topics, read his latest book (pictured above). Frank claims that although many of his concepts are revolutionary, he leaves it to the readers to decide whether they represent truth or fiction. However, he knows that readers will view spirituality and the world in a better light when they read Spirituality in the 21st Century. 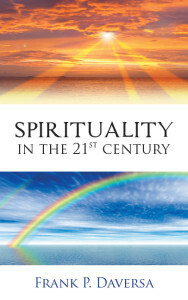 If you are committed to enhancing your spiritual life, then this book is for you.